The House has given initial approval to a bill meant to nullify federal gun laws within the state. 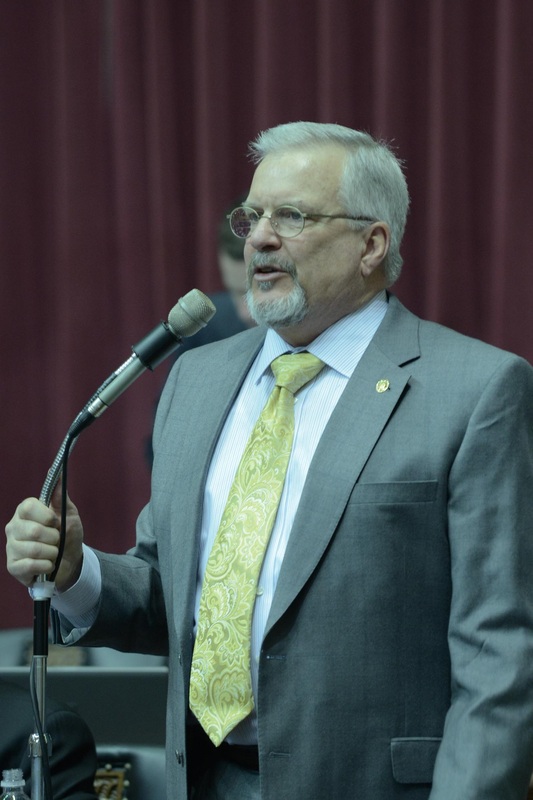 The bill, HB 1439, would deny state law enforcement agencies and courts the power to enforce federal gun laws and would make anyone deemed in violation of a Missourian’s Second Amendment Rights liable to legal action by that Missourian. Other versions of the legislation would have made law enforcement officers subject to criminal prosecution for enforcement of the gun laws targeted by the measure. Sponsor, Representative Doug Funderburk (R-St. Peters) says he removed that language at the request of law enforcement. “This is what law enforcement said was their most deep, heartfelt concern about the bill from last year and the bill that I originally filed this year,” said Funderburk. The bill would also allow specified school personnel to carry concealed weapons with specific training. Representative Rick Brattin (R-Harrisonville) says that will serve as a deterrent to anyone who would consider carrying out a school shooting. Representative Genise Montecillo (D-St. Louis) isn’t convinced that is the proper role for a teacher. The proposal would not allow public hearings by school districts before the allowing of armed school personnel on school grounds. Those House Democrats that oppose the legislation dismiss it as unconstitutional. The legislation would prevent a medical practitioner from being required to ask a patient about his or her gun ownership status or to disclose such information except in specific circumstances. The proposal would bar the disarming of a person carrying openly or concealed unless he or she is under arrest and lowers the minimum age at which one can obtain a concealed carry permit from 21 to 19. It requires another favorable vote to go to the Senate.